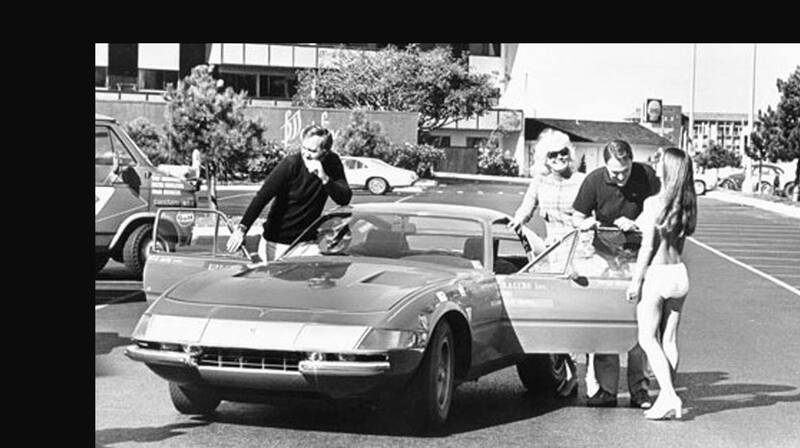 It was called the Cannonball Baker Sea-to-Shining-Sea Memorial Trophy Dash, eventually abbreviated to "Cannonball." Maybe you read about "the World's Greatest Outlaw Road Race," in a back issue of Car and Driver magazine, or heard about it through the 1981 film, "The Cannonball Run" and its sequels. 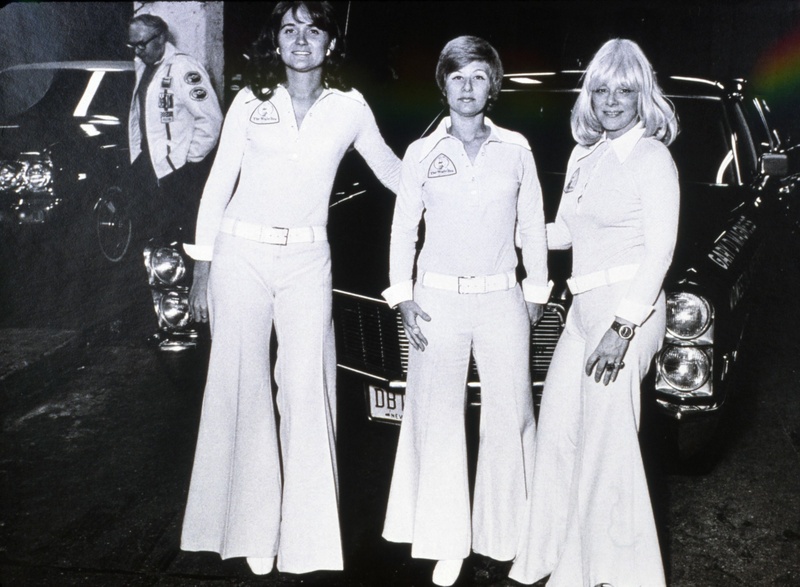 Maybe you heard about Cannonball later, after organizers of road rallies like The Bullrun Rally, GoldRush Rally and Gumball 3000 called on the original race's rebel ethos for their glitzy, champagne-soaked events. Maybe you read The Driver: My Dangerous Pursuit of Speed and Truth, by The Drive contributor Alex Roy, chronicling his own effort to break the coast-to-coast speed record, or know those who followed in his footsteps. However you heard about it, you know it happened. 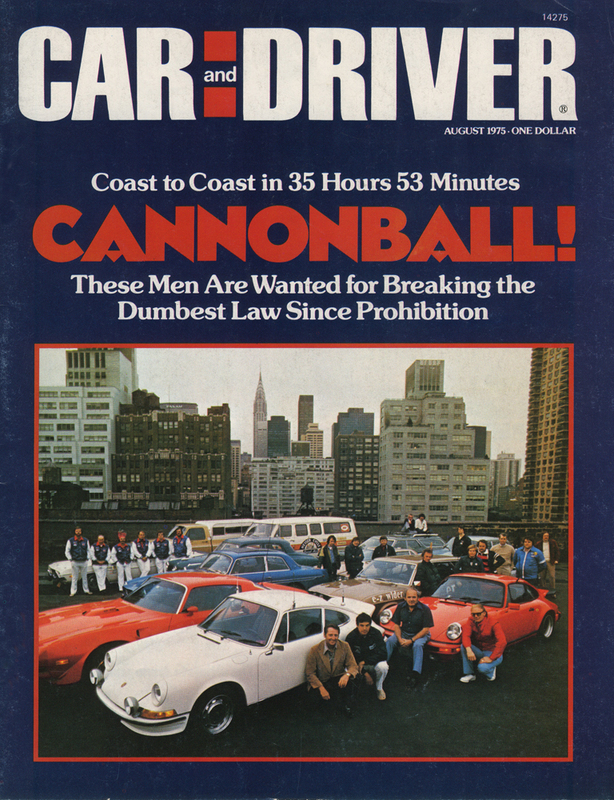 The original Cannonball was the brainchild of the late Brock Yates, longtime executive editor of Car and Driver, and two magazine cohorts in 1970. Yates aimed to prove that a modern vehicle traveling at high speeds along the country's new interstate highway system could make it to the west coast, and safely, at speeds far greater than "Big Brother" would allow. 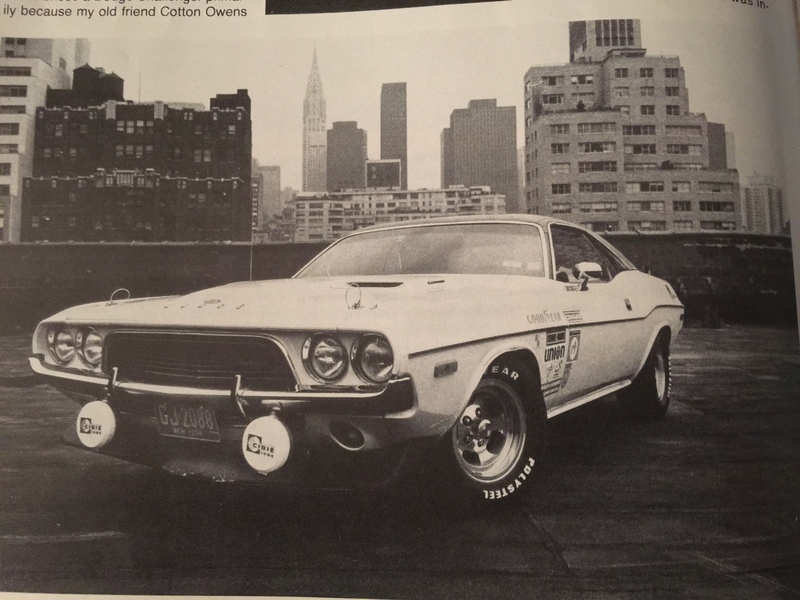 He ran the first event in 1970 in a solo vehicle, in a souped-up Dodge Van, with his 14-year-old son Brock Yates Jr and fellow Car and Driver editors Steve Smith and Jim Williams. 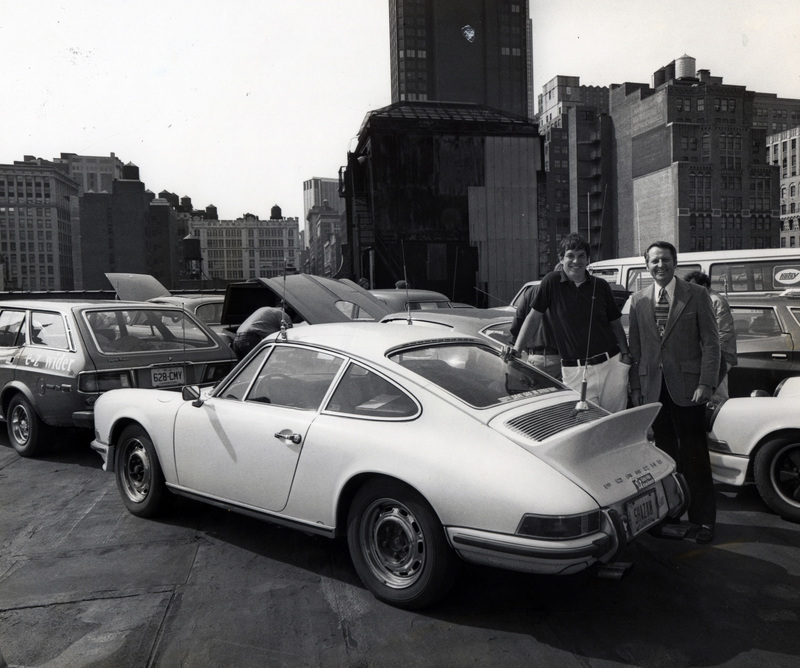 In 1971, Yates teamed up with racing legend Dan Gurney in a Ferrari Daytona and did the run in 35 hours and 54 minutes to best a field comprising eight vehicles, including an AMC AMX and a Travco motor home. Yates's Cannonball happened again in 1972 and 1975 from New York City (and, in 1979, from Darien, Connecticut) to Redondo Beach, California. An amazing group of characters partook, all documented in Yates's book, Cannonball! The World's Greatest Outlaw Road Race, a must read for anyone who's either enamored or appalled by the concept. If you're in Connecticut on June 2, 2017, you can meet some of the real outlaws, and hear their amazing stories of speed, debauchery and (whatever else may have happened) at The Cannonball Reunion. The event's a partnership with the Greenwich Concours d'Elegance, featuring a tribute to the late Brock Yates, and a panel of ex-Cannonballers including Pamela Yates, Bill Brodrick, Judy Stropus, William Jeanes, Jack Cowell, Bill Warner and Alex Roy. They'll be joined (in video greetings) by Dan Gurney, Toly Arutunoff and Pete Brock, and others. I'll be hosting. You'll also get to see some of the original outlaw cars on display including Dan Gurney/Brock Yates's Ferrari 365 GT/4 Daytona, Brock Yates's 1972 Challenger, Bill Warner’s 1975 Porsche 911, Travis Bell’s Transcon Medi-Vac ambulance re-creation, Alex Roy’s Polizei 144 BMW M5, and more. 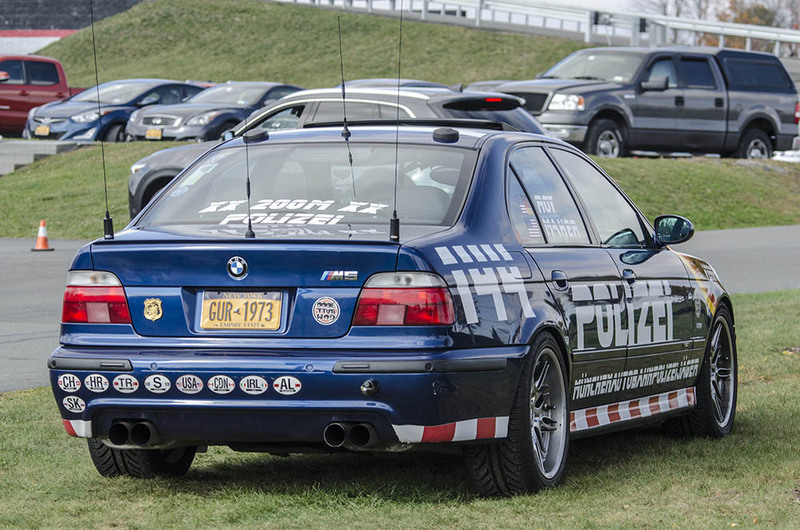 Proceeds will benefit the New England Auto Museum. Get your tickets now. And meet us at 6:30 PM in the courtyard of the Cole Auditorium at Greenwich Library, alongside the Cannonball cars. The program begins at 8:00 pm.